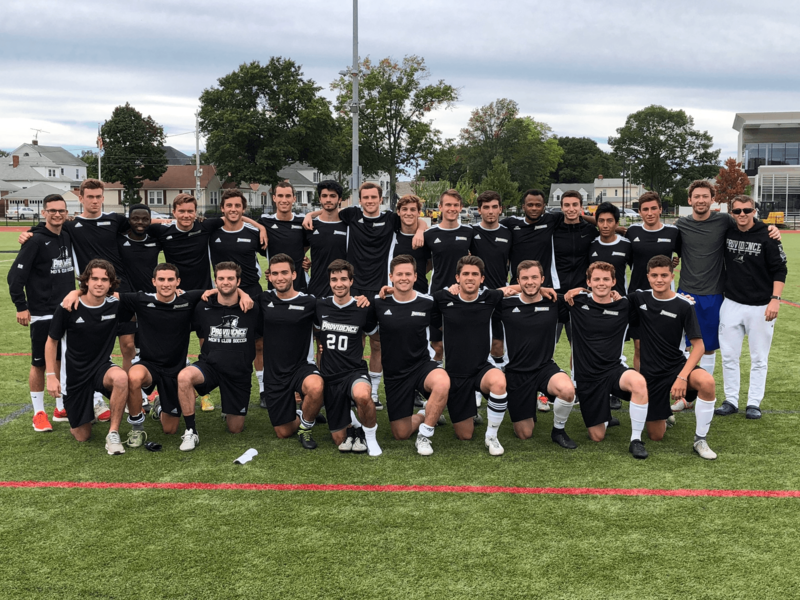 The Providence College Men’s Club Soccer Team is excited to have completed their third fall season as a Club Sport. The fall semester is the team’s primary season where they compete in the Boston/Providence division of Region 1 Club Soccer. They also compete in organized scrimmages in the spring semester. The team practices 2-3 days per week and participates in games on designated weekends. Tryouts are held at the beginning of each semester. Below is the schedule and results from the Fall 2018 season. If you have any questions, please contact the team officers using the contact information provided. To donate to Men’s Club Soccer click here! Select the “Other” category and specify Men’s Club Soccer as your gift designation. The team appreciates your support. For more information, contact the team at menssoccer.club@providence.edu.